Now that the holiday break has come to an official end, most of us are back to the daily grind and busier than ever. So, why not give our toes a much needed break and opt for a pair of the season’s most coveted flats? With loafers, sneakers and brogues trending on street style blogs, and thus making their way into many fashion publications and designer collections (isn’t it refreshing to see style bloggers inspiring the fashion industry, instead of the other way around? ), it should come as no surprise that comfort is a key component in what is currently going on in the fashion scene. Even Michael Kors debuted, for the first time ever, a fall 2014 collection that included sneaker clad models and a plethora of fantastic non-heeled confections. 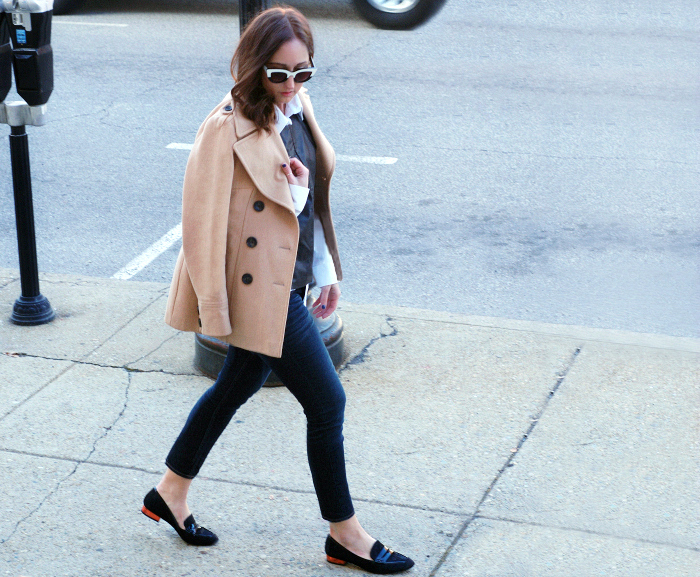 Today, I did my best to keep this idea of comfortable fashion alive by pairing my favorite flats with a cozy pair of jeans and a camel coat. I also had to throw in a touch of the unexpected, and this leather topper did just that. However, even with a bit of leather, this look still gave me the reprieve that I needed to take on that dreaded day of the week that we call Monday. I love a comfy resolution, how need!!! amazing looks:)..ox. 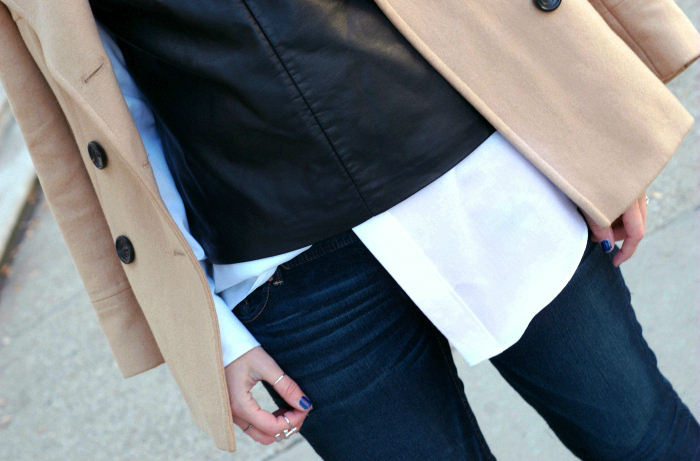 Love the simple yet polished casual outfit. Very lovely loafers and love your camel coloured jacket! Classic ensemble. Love that coat! Thanks for the outfit inspiration – I also have the leather tee from Express! Also loving the camel coat and more looks with shoes other than heels on the runway (yay for Spring!). That leather top is TO DIE! Love this gorgeous ensemble! Love that you wore a camel jacket with your outfit! this is such a simple and effective outfit – love it!